Are Metal Credit Cards Here To Stay? Metal credit cards carry much higher annual fees and are available in titanium, palladium, and stainless steel. 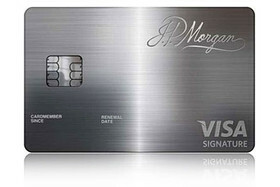 Currently, more metal credit cards are being produced than ever before because high-end customers see the cards not only as unique but also a sign of a wealthy person. Some believe metal cards are simply a phase, helping people feel significant, when in reality they are paying more for a gimmick. Regardless of what side you’re on, metal cards are growing in popularity and there have been no signs of the new trend slowing down any time soon.